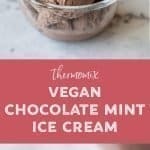 This Thermomix Chocolate Mint Ice Cream is completely dairy free – made with coconut milk, dates, peppermint essence and cacao, it’s easy to prepare and tastes divine. After paying an extortionate amount for a tub of vegan ice cream in the supermarket, I felt it was time to make my own. This version is made with natural ingredients and sweetened with dates instead of refined sugar. It’s a simple recipe to make but can be a little messy when you take the lid off of the Thermomix, which I discovered on my first attempt – there was brown mixture dripping everywhere! Also, I have to stress – double check to make sure there are NO stones left in the dates. Even though they say pitted on the packet it is not always true! Many times I’ve come across stone fragments and they really don’t taste good! 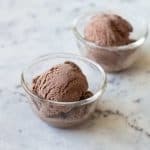 This recipe makes about 4 servings but can easily be doubled to make more. As with homemade ice cream, it will need to sit out of the freezer for about 20 minutes to soften otherwise it’s too hard to scoop. 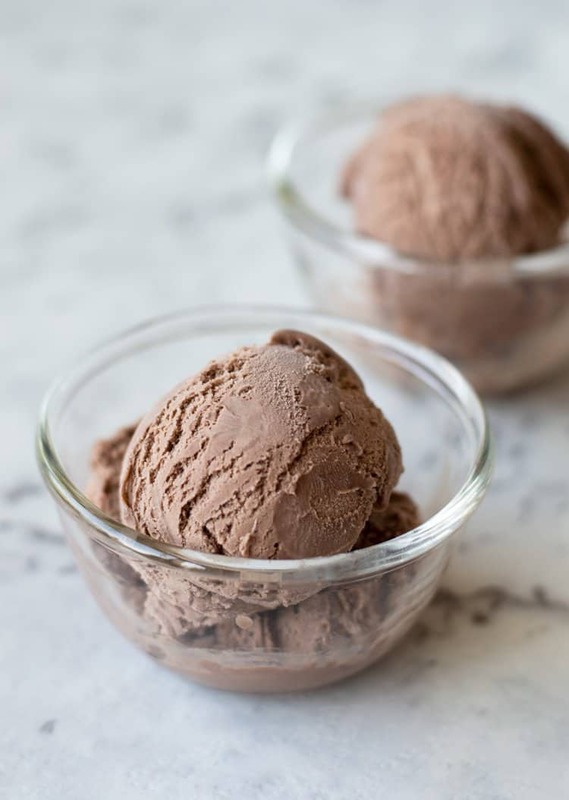 A dairy free Thermomix Chocolate Ice Cream made with all natural ingredients and sweetened with dates. Soak the dates in hot water for 15 minutes until nice and soft. Drain the dates (discard the hot water) and place them into the TM bowl and chop 10 sec/speed 6. Scrape down the bowl and chop again for 10 sec/speed 6. Add all the other ingredients and blend for 1 minute/speed 9. Scrape down the bowl and mix again for 1 min/speed 9 until nice and creamy and no lumps. (be careful when taking the lid off as the mixture tends to drip everywhere). Pour into a freezer proof container (or containers) and freeze for 6 hours or overnight. If you buy pitted dates, double check to make sure the stones are out as quite often they are left in.